SXSW attendees got a jolt on Sunday night when international electronic DJ Gramatik took the stage at Clearport in Austin. 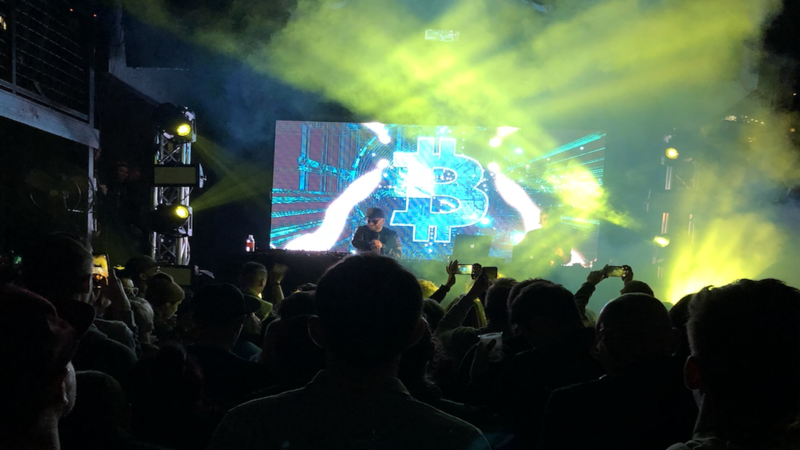 The artist played an hour-plus long set, which included his hit song, Satoshi Nakamoto. The house was packed for the hosted event sponsored by the company that enabled Gramatik’s ICO, SingularDTV. Gramatik is the first artist to ICO himself, selling 25% of his GRMTK tokens for 7,500 ETH in November 2017. Token holders are entitles to a percentage of all revenues and royalties that Gramatik earns. SingularDTV, a Consensys-portfolio company, is a content production and distribution platform built on the Ethereum blockchain. Its software empowers artists with applications to manage and create projects from development to distribution.